Helping enterprise customers to increase agility, save costs and transform their businesses by migrating their Microsoft applications and extending their datacenter into the AWS cloud. APN Partners can help customers build, deploy, scale, and manage Microsoft applications quickly, easily, more securely and more cost-effectively. The AWS Partner Network supports APN Technology and Consulting Partners with these capabilities in Microsoft technologies to help them develop their APN practice and accelerate their business growth on AWS through unique partner APN Partner benefits, training and program opportunities, and alignment with our AWS Microsoft-focused sales, marketing, partner, and business teams. Feature your company in the APN Partner Solutions Finder as offering solutions for Microsoft technologies on AWS. Grow your APN relationship/collaboration with the AWS sales, marketing, and business development teams. Develop a joint go to market plan using with AWS and become eligible for specific Windows on AWS POC or Migration funding. Further differentiate your AWS practice through the AWS Microsoft Competency, AWS Channel Reseller program, and/or AWS Managed Solution Program. Whether you are a partner new to the APN with a historical focus on Microsoft-technologies or are an existing APN Partner expanding your Windows practice on AWS, the APN offers a variety of programs and support to help you on your journey. APN Consulting Partners with specific Microsoft capabilities can include System Integrators (SIs), Strategic Consultancies, Agencies, Managed Service Providers (MSPs), and Value-Added Resellers (VARs) who help customers design, architect, build, migrate, and manage their Microsoft-based workloads and applications on AWS. As an APN Consulting Partner with a Windows on AWS practice, you will gain access to a range of resources and training to support your customers plan, deploy, run, and manage their Microsoft applications in the AWS Cloud. An overview of the APN Partner Journey for Microsoft Consulting Partners is outlined below, and the full APN Consulting Journey can be found here. Join the AWS Partner Network and consult the AWS Business Builder to plan your approach. Complete training including Enterprise Applications on AWS: Microsoft, Solution Training for Partners: AWS for Windows, AWS for Windows Technical Bootcamps (coming soon! ), or view All AWS Partner Network specific training and certification (APN login required). Leverage the AWS for Windows Self Study Guide to help accelerate your learning and capabilities. Consider the AWS Channel Reseller Program as a way to resell your Windows-based AWS services, and explore the AWS SaaS Partner Program for support to build, launch and grow your SaaS solutions on AWS. Take advantage of AWS POC, MDF and Migration credits or talk to your PDM about other Windows-specific co-funding opportunities. See the full Select Tier requirements, benefits and opportunities. Explore the AWS Managed Service Program and apply to become a recognized APN Partner. 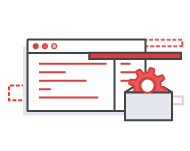 Take AWS Accreditations and Certifications on the path along your Partner Learning Plan. See full Advanced Tier benefits here. Work with the AWS Partner Team on custom integrated and partner marketing campaigns focused on your AWS for Microsoft Workloads offerings. Take advantage of AWS-written case studies, high priority for funding programs, and professional services offerings. See the full Premier Tier benefits here. APN Technology Partners building solutions on the Microsoft stack include Independent Software Vendors (ISVs), SaaS, PaaS, and other providers building solutions that run on or support Windows Server, SQL Server, SharePoint, Exchange, Dynamics and other offerings. As an APN Technology Partner with offerings that integrate with the Microsoft stack, you will gain access to a variety of tools, training, and support that can enable you to more efficiently build your solutions on AWS. Learn more about the APN Technology Partner Journey here. Over 700 Microsoft-based offerings are available either directly from the partners, or also through the AWS Marketplace offerings for the Windows platform. Expand your global reach by listing your offering on the AWS Marketplace and make it easier for customers to find, try, buy, and deploy your solutions. Explore the AWS Quickstarts for Microsoft Workloads to learn the gold-standard on deploying on AWS. Upload your company information via the Partner Portal to be showcased on the AWS Partner Solutions Finder and highlight your Microsoft-based AWS offerings. 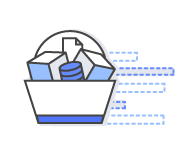 Leverage the AWS Business Builder to expand your AWS-based business. Work with the AWS for Microsoft Workloads Partner Team on Integrated Marketing and other AWS Partner Marketing campaigns. Sign up for the latest AWS for Windows APN Partner updates, including: webinars, best practice guides, upcoming events, and more.